Mountain View B & B is a much extended and modernised mid-19th century cottage on the edge of Snowdonia. We have off-road parking and a large patio and garden area with splendid mountain views. 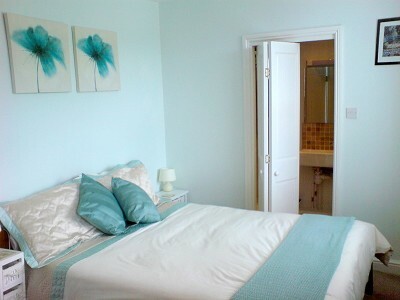 With just two en suite rooms - king-size bedded double with shower room/loo etc. ; twin-bedded with bathroom and shower over - you are assured of a comfortable and hassle-free stay. Both rooms have tea/coffee making facilities, hair drier and digital TV. Your breakfast eggs are from our own chickens. The beautiful sandy beaches of Borth y Gest and Black Rock Sands are 10 mins or so away, and Portmeirion, Beddgelert, the Glaslyn Ospreys and Snowdon itself, are just a short drive away. Tremadog, with its 3 good food pubs and an excellent restaurant, is 10 mins or so walk away. The harbour town of Porthmadog (and steam railway) is just 1.5 miles away; the elegant and scenic town of Criccieth is only 4 miles. 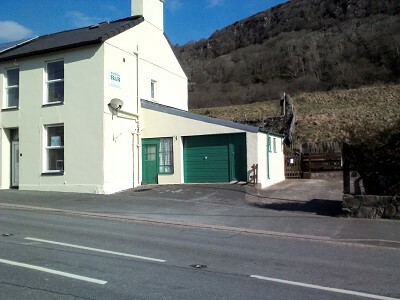 Cyclists are offered secure storage and drying facilities and Walkers will find Mountain View an ideal base to explore Snowdonia and the Lleyn Peninsula. We are a non-smoking establishment, but the patio area may be used for smoking or for simply chilling out.